A history of the energy crises of the 1970s and the world they wrought. It was, Jacobs argues persuasively, a time that transformed American politics. Democrats and Republicans fought among themselves as well as with each other over how best to respond. Many Americans worried that an era of boundless optimism, economic growth and prosperity would give way to limits and scarcity. Others came away convinced that the United States would have to boost its military capabilities and be ready to fight to protect its economic as well as national security ... At a time when political candidates are bickering over how to make America great again, there is much to recommend in this book. Panic at the Pump is a thoughtful tour of an era we would rather not think about, carefully retracing the economics that made the United States dependent on oil imports, and the crises that made that dependence so painful, including the Arab oil embargo of 1973-74 and the fall of the shah of Iran in 1979. [Jacobs] chronicles the strutting and fretting of government figures who disagreed on how to cope with the shock. The political shift she observes actually happened, but causation is less certain. The 444-day seizure of American Embassy personnel by Iranian militants, the bitter aftertaste of Vietnam and stagflation certainly contributed. And missing completely is the role of technology, much of it driven by government: Along with a revolution in drilling, new cars now get twice as much work out of a gallon of gasoline, and that could double again. 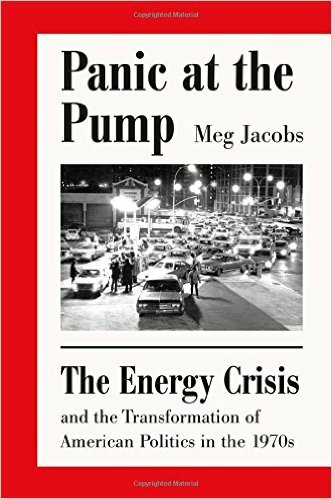 The energy crisis, [Jacobs] contends, transformed American politics, decimating liberalism and bringing anti-government conservatives to power ... There’s an element of truth to her claim...Contrary to Ms. Jacobs’s depiction, though, the endless political battles over energy had less to do with partisan politics than with rent-seeking ... Nor is it clear, as Ms. Jacobs contends, that energy was the dominant political concern of the 1970s. In reality Americans, along with the citizens of almost every other wealthy country, had ample cause to be unhappy ... Ms. Jacobs tells her story largely by stringing together pronouncements by politicians and anecdotes from the media...The extraordinary complexity of unwinding decades of government intervention in energy markets goes missing amid the stereotypes. 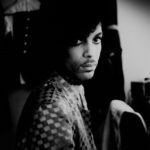 What did you think of Panic at the Pump: The Energy Crisis and the Transformation of American Politics in the 1970s?